ASTANA – The Green Climate Fund (GCF) board approved funding of up to $110 million for the GCF-European Bank for Reconstruction and Development (EBRD) Kazakhstan Renewables Framework progamme to promote renewable energy sources. “The GCF’s contribution includes concessional financing in the amount of $106 million and $4 million in technical assistance subsidies. 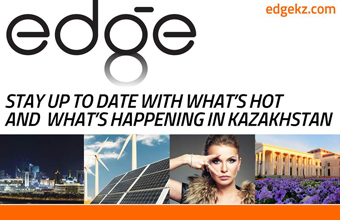 The projects are aimed at supporting the Kazakh government in transition to a green economy, including investments in solar, wind, small hydropower and biogas sources and modernisation and strengthening of electrical grids to broaden the renewable energy sources integration,” reported the Ministry of Energy in an Oct. 5 press release. “Kazakhstan has recognised the need for transition to a green economy. We are contributing to global efforts under the Paris Agreement to address climate change. The country has set an ambitious nationally-determined contribution under the agreement with an emissions reduction target of 15 percent below 1990 levels by 2030. With the support of the GCF and the EBRD, we look forward to scaling up investments in renewable energy and delivering on the country’s green economy transition strategy,” said Minister of Energy Kanat Bozumbayev. The renewables framework is an innovative plan to finance construction and operation of renewable energy projects in the Central Asian country. The EBRD Board of Directors approved the €200 million (US$234 million) programme in 2016. “The framework builds on eight years of policy and investment work in Kazakhstan. It makes a profound contribution to the scaling up of renewable energy in the country, combined with a strong focus on gender and inclusion and a drive to lay the regulatory foundations for a sustainable renewable energy market in the country,” said EBRD Energy and Natural Resources for Russia, Central Asia and Caucasus Director Aida Sitdikova. The GCF was formed in 2010 by the 194 countries which are parties to the United Nations Framework Convention on Climate Change (UNFCCC) as part of the convention’s financial mechanism. The fund supports the efforts of developing countries to respond to the challenge of climate change and helps them limit or reduce their greenhouse gas (GHG) emissions and adapt to climate change. EBRD has invested €7.3 billion (US$8.5 billion) in various areas of the Kazakh economy focusing on non-oil and gas areas and approximately €1.7 billion (US$1.9 billion) in sustainable energy and resource projects.